LeRoy Eims was dedicated to helping others grow professionally, personally, and spiritually. Today his legacy continues with the relaunch of two modern-day classics on leadership, updated and refreshed for a new generation. Both releases offer practical, time-tested guidance based both on personal experience and scriptural truths. Be The Leader You Were Meant To Be shares a profound truth: Leading is not about what you do, but who you are. This bestseller set the standard for faith-based leadership books. 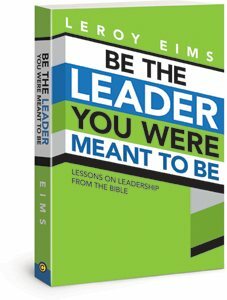 In this updated release, Eims shares proven Biblical principles for becoming the best leader, and person, you can be. Being an effective leader is not just about guiding a group to a goal, but helping people catch a vision bigger than their own. Be A Motivational Leader will equip both seasoned and rising leaders to inspire and encourage their team to succeed.